Nowadays the merchants use a lot of advertisements to attract consumers. A great advertisement will make merchants get success in the competition. There are lots of different kinds of advertisements, and the common advertisements’ themes are funny stories, super stars’ influence and so on. I watched the advertisement of Doritos, and the method they choose is to use some funny stories, that after watching the advertisement, people will get an impression that no matter children or the seniors, even the pets, they love eating Doritos products. It is the function of this kind of advertisement, that people will laugh, and think it is funny, which will help merchants to leave deep impression in people’s minds. Another method is the super stars’ effects. For me, I love super stars, and I will follow their steps. People love the super stars because they have some different characters. For example, they have beautiful faces, or they have great fit figure, or they have long and bright hair. The merchants will use these characters in their advertisements. 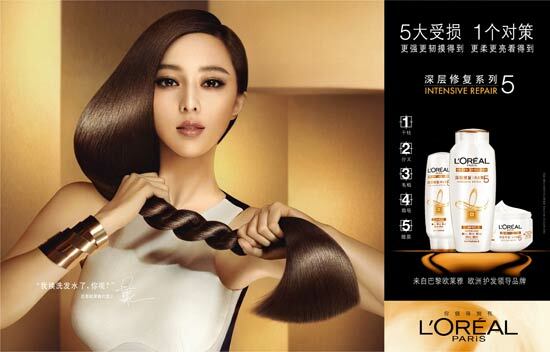 For example, Bingbing Fan in China is very famous for her great skin, and Loreal hires her to make advertisements for their skin care products. When the super star appears in the advertisement, and says that she has such young and silk skin because she uses their products. The customers will follow her steps and her words to purchase the products that they think if they use them, their skin will be young and silk as Bingbing Fan’s. It is the effect of super stars that they will give consumers an impression that why she looks so pretty is that she uses the products. These two examples show people the success of advertisements, which attracts consumers more, and the consumers will trust the merchants.